Credit: c. 1951, Ted Saucier in “Bottoms Up! Combine ingredients in mixing tin; add ice & shake. 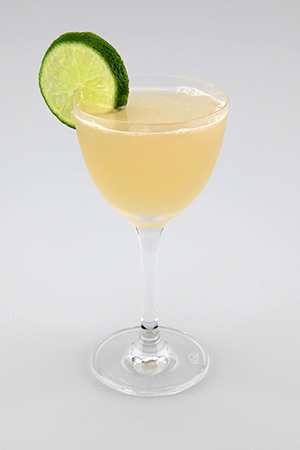 Strain into chilled cocktail glass and garnish with a lime wheel.